To access files, folders, and settings on Windows, you usually have to go digging through many locations. Save yourself that trouble by using the instantly-find-anything Desktop toolbar. Right-click on an empty space on the taskbar and click on Properties in the context menu. In the Taskbar and Start Menu Properties dialog that pops up, switch to the Toolbars tab and check the box for Desktop. Click on Apply and exit the dialog. Now if you look at the space to the left of the system tray, you should see the word “Desktop” with a tiny pair of arrows next to it. That’s your Desktop toolbar. Clicking on the arrow icon reveals a nested list that gives you access to nearly every file and folder on Windows, including Control Panel sections, Libraries, and even your OneDrive folder. Really handy, right? 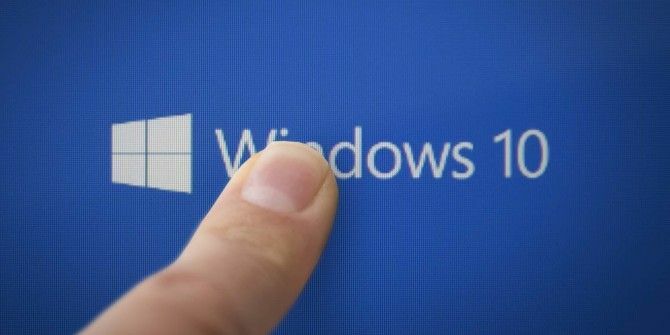 If there’s one shortcut every Windows user needs 10 Essential Windows Habits You Should Cultivate 10 Essential Windows Habits You Should Cultivate Bad habits can cause a lot of damage. And sometimes we're not even aware of them. We'll show you some good Windows habits that will save you a lot of time and stress. Read More , it’s the Desktop toolbar. Set it up today! Do you think this hidden toolbar makes a great access point for your Windows files and settings? Will you be using it more often? Tell us in the comments. Explore more about: Productivity, Windows 10, Windows Tricks. "Right-click on an empty space on the taskbar and click on Properties in the context menu. In the Taskbar and Start Menu Properties dialog that pops up, switch to the Toolbars tab and check the box for Desktop. Click on Apply and exit the dialog." Yeah, or just right-click an empty space on the taskbar, move the mouse to "Toolbars," and in the flyout, click "Desktop" to check it. And there's nothing to close afterwards. I prefer FreeLaunchBar - I can shrink the icons down to get two rows, it works just like the old Quick Launch Bar, and I can add anything I want to it. Thank you for the shortcut! You can right click on any of your folders or drives and make them into a task bar link as easily as it is to read 'Create new Toolbar"
Yeah, now try with a folder that has 2000 files in it. Or try a folder, that's 20 levels deep. Before you start hating, those are quite valid situations for a programmer. I'm using Total Commander instead. That (2000 files) would certainly be messy with the desktop toolbar. Thankfully, there are ways to customize Windows based on your convenience. This is useful for those navigating with a mouse or stylus. Unfortunately, for touch navigation, only the arrows and not the "Desktop" label are clickable. Pinning File Explorer to the taskbar is probably a better option. Who has only 7 items in their download folder? I am using it I think from windows 2000. not new to win 10. You're right, Tanvir. This feature is available in previous versions of Windows as well. You don't need to go into properties to do this, just right-click on the taskbar, mouse over Toolbars and click Desktop. then select the Programs folder to complete the action. You can also pin C:\ProgramData\Microsoft\Windows\Start Menu to the taskbar to make it easier to activate if you are using touch as your primary navigation. Thanks for those tips, Gordon!